Poetry is such a fun topic to teach students, but so many students resist it! Poems have so many different forms and can be written about any topic. 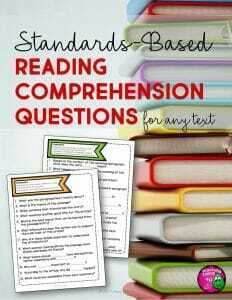 In addition, poems can be written easily in every grade level – as long as teachers follow a few easy steps. 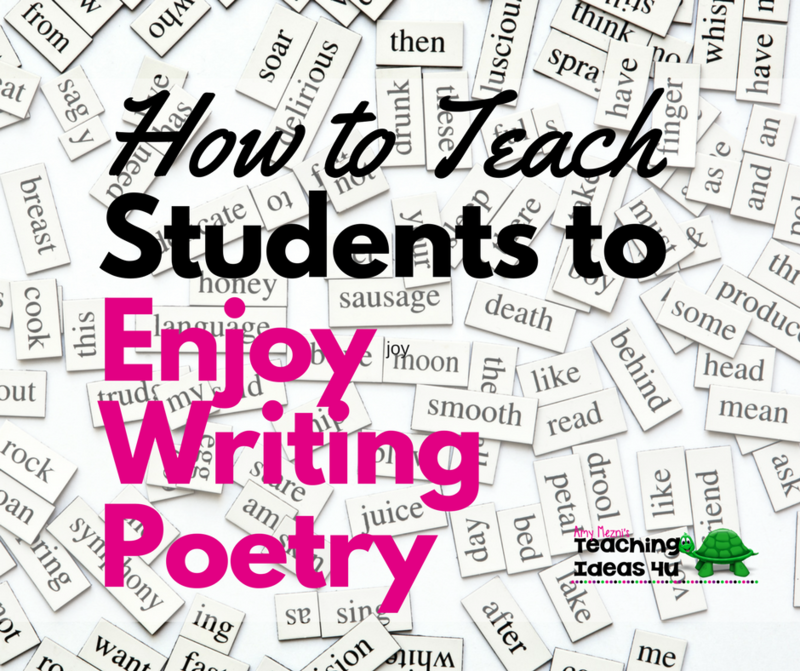 Improve poetry writing in your classroom by implementing a few easy steps. This seems like a no brainer, but students need to be familiar with a lot of poems before they will feel comfortable writing them. Starting as early in the school year as possible, begin reading poems. Poems can be used to start the day, in short stretches of “dead” time, or even as journal prompts. Just try to work in one poem each day – and don’t be afraid to repeat well-loved poems. The more kids read poetry, the more they will understand it – that it has different forms and different topics. It isn’t all love and valentines! There are so many different types of poetry. Some forms have a lot of rules, while others have very few – or even none! If you are teaching younger students, stick with poetry forms that have few rules. Older students may be ready to write more difficult poems, but then again, maybe they aren’t. It is important that you know your students and their writing abilities. When I teach poetry, I always start with free verse or a form of poetry the class already knows, then slowly move students to more complicated poems. This is an old teaching trick, but I do think it helps students understand how to write poems. Every time I introduce a new type of poetry, I start by modeling how to write the poem in front of the students. Students see how I brainstorm ideas and then slowly write and revise the lines of my poem. After I finish a poem, we write one as a class. I have students suggest topics and pick one. Then I have pairs of students work on different lines of the poem. (If the poem form is short, I have the class work on more than one poem – I just assign the topic and line to a partner pair.) TIP: Give a reasonable time limit for them to develop their line. After we have finished these group poems, I ask kids to work on their own poems. It is important for students to just focus on getting their ideas down. There are always a few students who worry about getting everything perfect the first time, but that is very detrimental to writing poetry. It’s okay to make mistakes – poems go through revisions just like stories. Often a poem will morph into something else as it is revised – and it’s often better than the first idea! I usually start poetry writing with a brainstorming-only session. Each student should write down a few ideas for their topic. I then have students brainstorm ideas connected to the topic they think they want to use. Sometimes kids find that they don’t have enough thoughts about their topic to write a whole poem. Often this happens when kids think they have a topic that will be really funny, but it doesn’t really mean much to them. They try to stick with it thinking it will make kids laugh, but in reality they just don’t have any ideas to elaborate the topic. When that happens, I guide students to look at the other topics they brainstormed and think about what all they could say. Usually students will have one topic that means a lot to them or for which they have a lot of ideas. I don’t always allow students to work with partners, but I offer it as an option frequently. Providing the option to write with a partner has always increased student engagement in writing poetry. It removes a lot of the risk for students – their is less chance it could be wrong or dumb. (These are big fears for middle grades students.) In fact, my students have written a lot of very creative poems because they were able to bounce ideas off of a partner. Let’s be honest, a lot of kids love to share. Love it. Other kids hate it. I try to leave a few minutes at the end of the writing session for kids to share poems. Instead of making everyone share a poem, I ask kids to share. If kids don’t want to share, I don’t force them to do so. However, everyone usually enjoys hearing what other students have written. After I have read through their poems, I will anonymously share a few on another day. This is a good way to acknowledge the writing of students who are just too shy or afraid to share their poems otherwise. 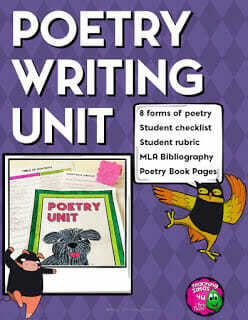 If you are looking for a poetry writing unit, my teacher friends and I have used my Poetry Writing Unit with students, and it has been well received by students. Students learn how to write several forms of poetry. For each type, I included printables to help guide students through the writing process. I also included optional pages for final copies that could be bound as a book. 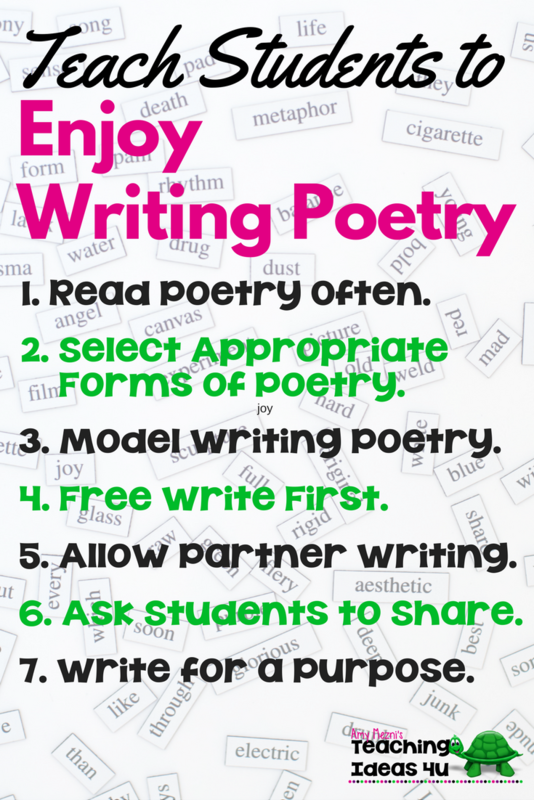 For more teaching tips on poetry, please check out my blog posts, Why Students Hate Poetry – And How to Make Them Love it!, 7 Easy Ways to Integrate Technology into Poetry Writing, and 12 Amazing Poets Who Make Kids Love Poetry. I hope you got a few new tips for teaching students how to write poetry. What works well in your classroom? I would love to know what writing tip you have used successfully with your students!